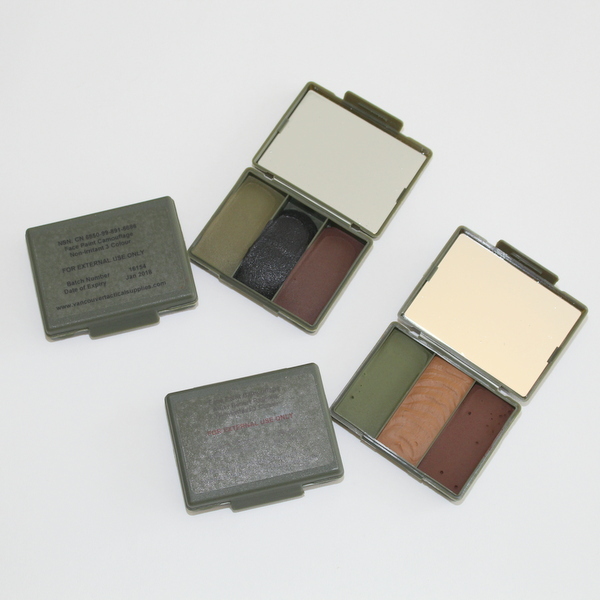 This British Military Issue camouflage cream compact is on genearal issue to British troops and contains vegetable oil based creams in three colour options for either woodland / temperate or desert / arid areas. Easy to apply, this camouflage cream is of a non irritant formula, is sweat proof and allows for easy clean up with soap and water. 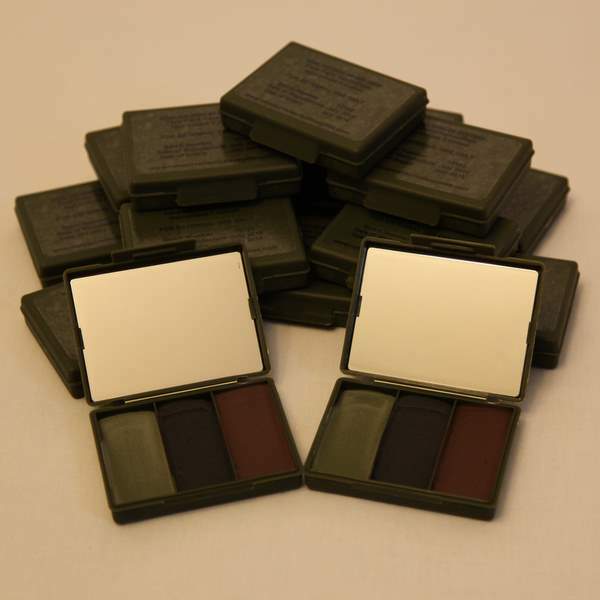 Manufactured in the United Kingdom, the olive drab plastic compact measures 85mm x 70mm x 20mm and fits easily into a small pocket or pouch to be ready whenever you need it. 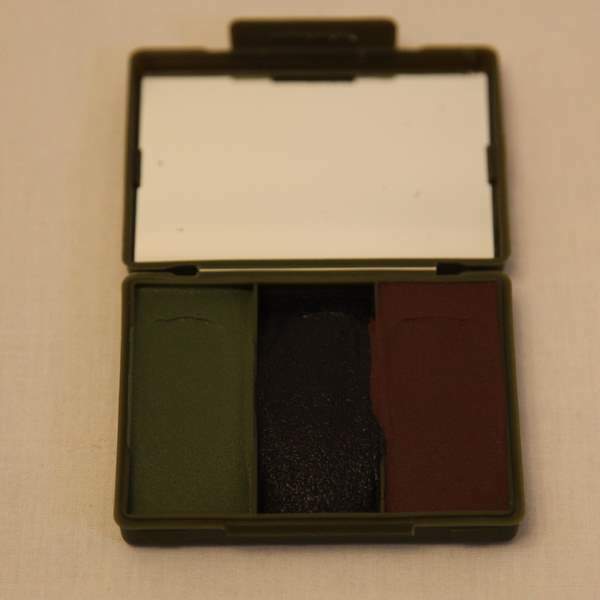 It also contains a non breakable mirror to assist application and which can be removed if needed elsewhere. Apply as needed to face, hands and neck to help blend with your environment. For external use only of course. Woodland / temperate compact utilising green, black and brown colours.